Fitch's subprime 60-plus day delinquency index improved 5 percent to 2.68 percent in February over January's level, and was 3 percent lower than in the same period in 2006. In the prime sector, 60-plus day delinquencies rose 3 percent in February to 0.60 percent, and came in 1.6-percent improved versus February 2006. 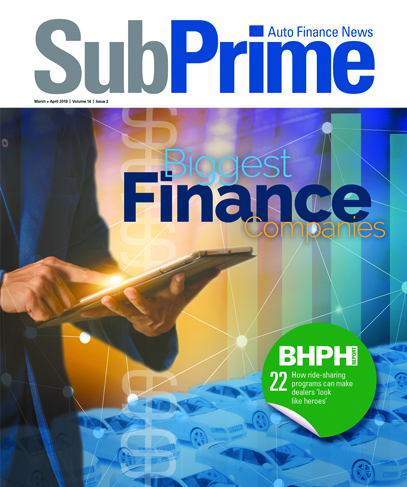 As predicted by Fitch, the subprime ANL index improved in February dropping 24 percent to 6.57 percent, virtually unchanged from February 2006. The spike in ANL in January was a temporary one due to one issuer in the index changing a servicing policy resulting in higher losses, along with seasonal weakness, officials explained. Prime ANL rose to the highest level since January 2006, coming in at 0.99 percent, an 11-percent increase over January, representing the first time the index has not produced year-over-year improvement in more than three years, executives noted. A total of $8.40 billion worth of auto ABS issuance (auto loan, lease, rental, floorplan, motorcycle and truck loans) was issued in February in eight transactions. Finally, officials said total year-to-date 2007 issuance rose to $11.87 billion, 21.5 percent below February 2006's total issuance, with some large regular issuers having remained absent from the market to date in 2007.